In the AFC Championship Game, Indianapolis linebacker D’Qwell Jackson picked off a Tom Brady pass deep within Colts territory before being promptly forced out of bounds. On the Colts sideline, team equipment managers then speculated that the football was underinflated. After the 45-7 Patriot blowout, League officials confirmed that 11 out of 12 Patriot footballs used in this game were underinflated. 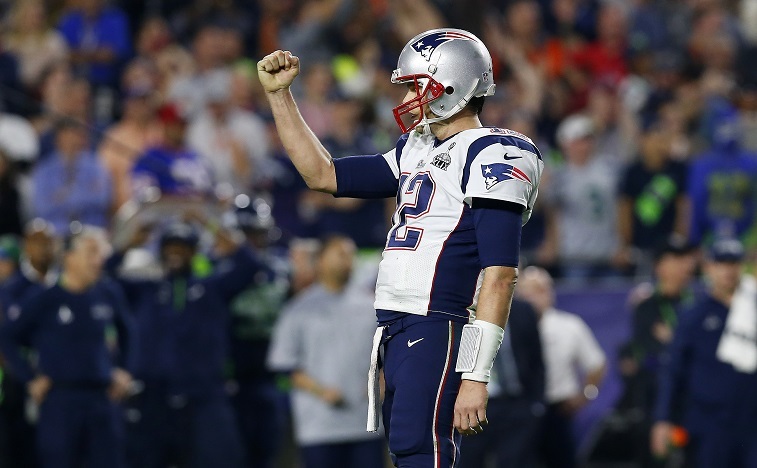 That went on to take Super Bowl XLIX was quickly backburnered when the release of the 243-page Wells report brought Deflategate back to the forefront. The Wells report claimed that it was “more probable than not” that Tom Brady colluded with locker room attendants Jim McNally and John Jastremski to deflate footballs through the latest season. In response, Roger Goddell and the league office handed down a heavy handed four-game suspension and $1 million fine to Tom Brady and the Patriots. 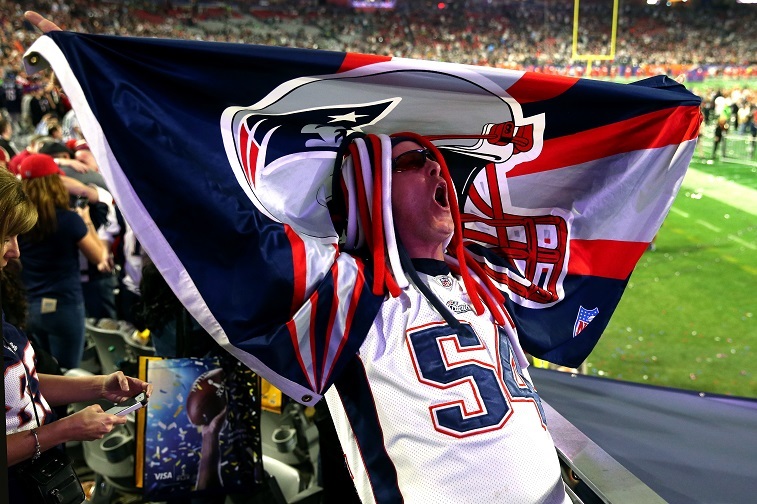 The road to Super Bowl 50 will still run through Foxboro, despite those sanctions. Firstly, the NFL Player’s Association (NFLPA) has already mobilized to challenge the Well’s report and appeal Brady’s suspension. The Patriots, of course, do maintain more than enough firepower to take a weak AFC East, even if the NFLPA appeal were denied. After clinching a playoff spot, the Patriots would be the favorites to come out of the AFC with Brady back at the helm. While Robert Kraft’s bluster about suing the league was never seriously in consideration (He was never going to rock the boat in that regard), the NFLPA’s appeal of Brady’s suspension is a different story. For his part, Roger Goddell has already agreed to entertain appeals talks out of the NFLPA – on Tom Brady’s behalf. In 2012, a three-member appeals panel overturned suspensions levied upon Jonathan Vilma, Scott Fujita, and Will Smith, for their alleged roles in setting up a Saints bounty scheme to knock opposing players out of games. Vilma had been suspended for the entire year, but was ultimately reinstated back into the NFL and allowed to participate in team activities prior to the start of the regular season. Arbitrary fines and suspensions for domestic violence, performance enhancing drugs, marijuana, and unnecessary roughness have marred Roger Goddell’s short tenure as commissioner. Against this backdrop, Brady’s initial four game suspension may be reduced to two games, or even thrown out altogether, depending on the outcome of the lawsuit. A potential Brady suspension calls attention to a Patriot offensive line that may be tasked with holding down the fort and keeping backup quarterback Jimmy Garoppolo upright. 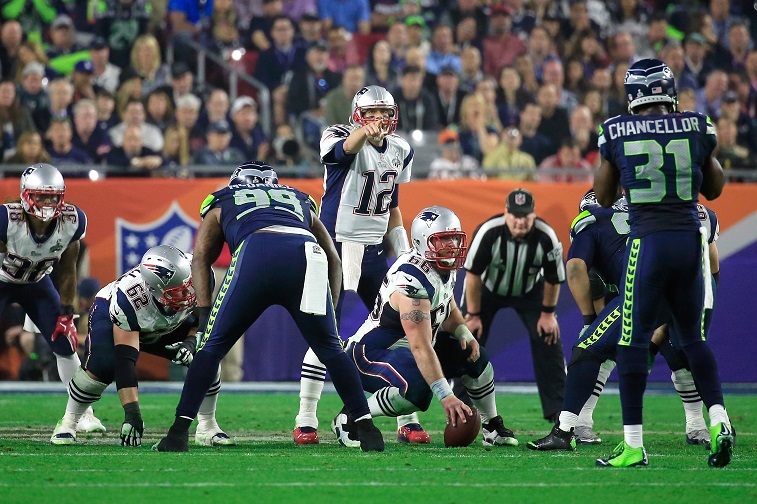 Last season, the retooled Patriot front grew stronger with each passing game, and was largely credited for the team’s sweep through the playoffs. For now, Nate Solder, Jordan Devey, Brian Stork, Ryan Wendell, and Sebastion Vollmer are slotted as opening day starters at offensive line for New England. Barring injury, the Patriots are only inexperienced at left guard, where Devey made a mere four starts last season. In a pinch, both Marcus Cannon and Josh Kline can fill in as starters at multiple positions along the offensive front. As a group, the Patriots offensive line has emerged as one of the more cohesive units in all of football. The group is especially adept at blitz pick-up, which will be especially important in helping a young quarterback to manage the game. Last season, the Patriots only gave up 26 sacks, which was good for fifth best in the NFL. The Patriots have also been known to experiment with unbalanced lines and tackle eligible plays, which may add even more wrinkles to the Garoppolo package. LeGarrette Blount, despite his various run-ins at the University of Oregon, Tampa Bay, and Pittsburgh, has always filled in as a model Patriot beneath the structured regime in New England. 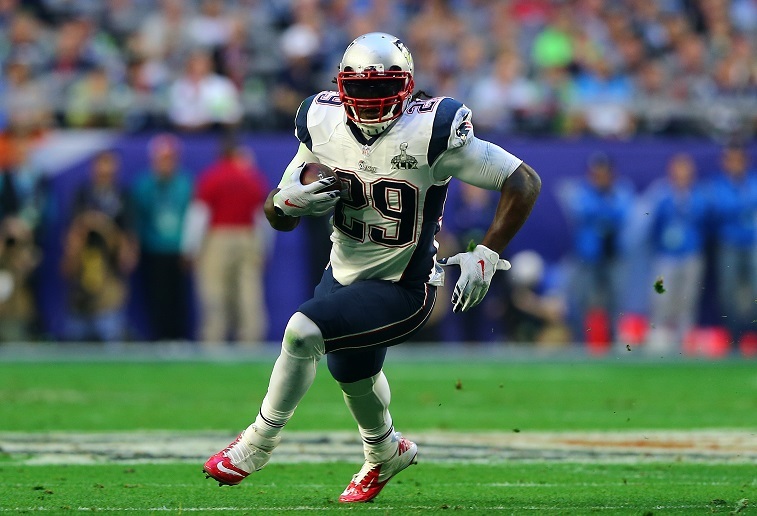 Last year, in the AFC Championship Game, Blount ran for 148 yards and three touchdowns on 30 carries. the season before, in 2013-2014, he gashed the Colts for 166 yards and four touchdowns in the AFC Divisional Playoff. At 6-foot-1 and 250 pounds, LaGarrette Blount has always been a load to bring down. Blount has also been clocked at 4.5 seconds in the 40-yard dash and is deceptively fast. After breaking arm tackles at the line of scrimmage,he can quickly accelerate into the second level, and run rough shod over linebackers and defensive backs for big gains. For his career, Blount has averaged 4.6 yards-per-carry through five seasons in the NFL. Expect LeGarrette Blount to be worked into the game plan early and often, while (and if) Tom Brady bides his suspension time. Blount can be especially effective on misdirection plays, such as traps, counters, and even screen passes into the flat. After establishing the run, Garoppolo may be free to go play-action, roll out, and hit tight end Rob Gronkowski on drag routes across the field. 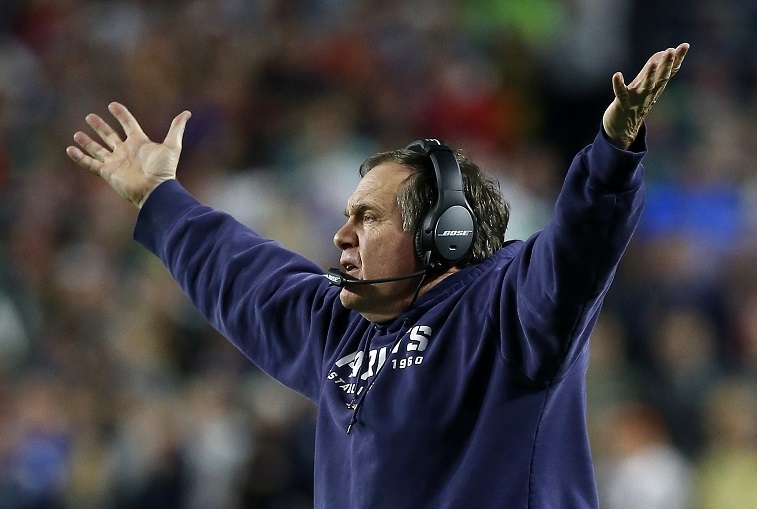 Bill Belichick, one of the all-time great coaches in league history, has been here before. In 2008, Matt Cassel went 10-5 as a starter, after stepping in for Tom Brady — out for the year with a torn ACL. In his first tour of duty as a starter since high school, Cassel completed 63% of his passes for 3,693 yards and 21 touchdowns that regular season, before moving on to Kansas City as a highly coveted free agent. He’s never matched the numbers he put up in New England. Bill Belichick and the New England Patriots will have Jimmy Garoppolo ready to play by opening day. In 2014, the Patriots took Garoppolo in the second round as the 62nd overall pick out of Eastern Illinois, with an eye towards the future. In effect, Garoppolo has already been groomed to ultimately assume command, as Tom Brady’s successor. As such, the Patriots will not be forced to ditch large sections of the playbook in Week One, with Garoppolo under center. For the sake of comparison, the Patriots selected Matt Cassel with the 230th overall pick in the 2005 NFL Draft, and still ran their full offense with him at the controls, in 2008. Cassel, again, had not started one football game since high school, after backing up Carson Palmer and Matt Leinart at USC. This year, the Patriots took defensive tackle Malcolm Brown with the 32nd overall pick in the 2015 draft. Going forward, Brown will be instrumental in helping to replace both departed free agents Vince Wilfork and Darrelle Revis. On the defensive side of the ball, Belichick will pressure the quarterback with four down linemen to disguise a suddenly weak secondary and keep games close. 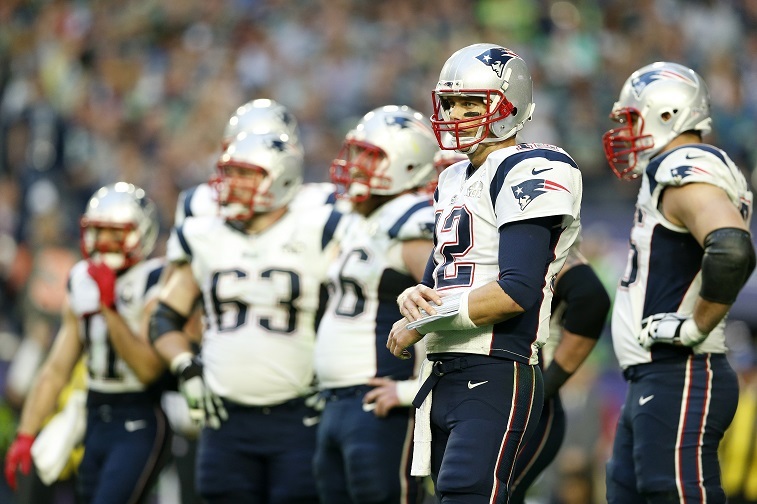 The Patriots are slated to play against the Pittsburgh Steelers, Buffalo Bills, Jacksonville Jaguars, and Dallas Cowboys through the first four games of their 2015 regular season schedule. Last season, these four teams did combine for a 35-29 record, with both Pittsburgh and Dallas making the playoffs. At worst, the Patriots would go 1-3 during this stretch, behind Garoppolo. The Patriots should dominate the Jaguars at home, in Foxboro. Last year, Jacksonville went 3-13. Most importantly, is the fact that New England will only travel once to Orchard Park, NY, to face its lone AFC East opponent in the Bills, through the first four games of this regular season. Last year, the Bills and Dolphins closed out the regular season at 9-7 and 8-8, respectively. The Dolphins, however, are likely to pose more of a challenge to the Patriots, after picking up coveted free agent defensive tackle Ndamukong Suh this summer. Ryan Tannehill also passed for 4,045 yards last season and will be the best quarterback in the division, assuming Brady is out. The Patriots, however, will first face the Dolphins at home in Week 8, before heading down to Miami for another showdown in the final week of the regular season. In both meetings, the Dolphins will match up against a Patriots roster that will likely be near full strength even if the suspension is upheld. In winning four Super Bowls in 13 years, the battle-tested Patriots have consistently emerged as one of the more dangerous teams in the playoffs, after taking the AFC East crown. This Patriots Dynasty has now put together a near unprecedented run of claiming six consecutive and 12 out of the past 14 AFC East titles.